Coronet Peak is New Zealand’s most popular ski destination, mainly due to its proximity to Queenstown. Located in the heart of the South Island of New Zealand, Coronet Peak is only a 20-minute drive from Queenstown and provides visitors with majestic views of Lake Wakatipu, Lake Hayes and The Remarkables. Because of its extensive snowmaking facilities, Coronet Peak is one of the last ski areas to close in the Southern Hemisphere, with a season that typically runs from June to mid-October. The mountain offers great terrain for all abilities, and night skiing is also available on weekends. 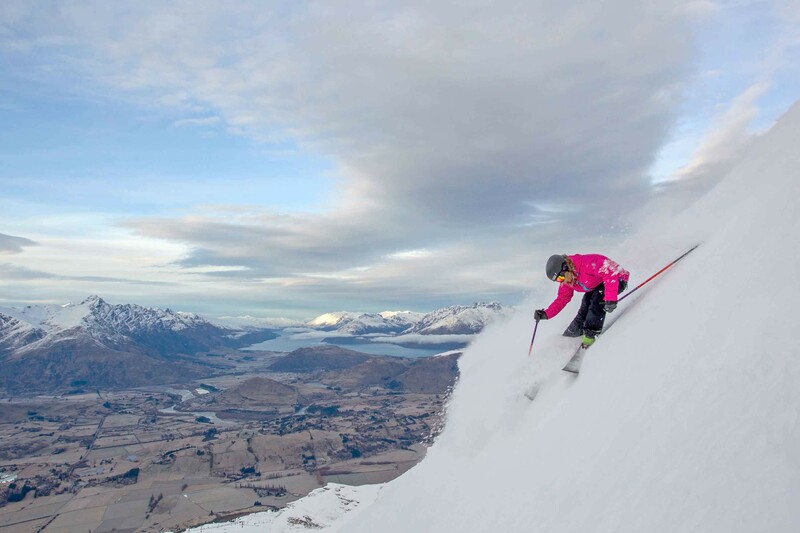 Coronet Peak is a well-rounded ski resort with terrain for beginners to intermediate skiers. Advanced skiers can look forward to rolling slopes, steeps and some off-piste adventures on the fringes of the resort. A dedicated beginners area is wide open and perfect for skiers just starting out and families. Free day lift passes are available for children under the age of 6. Popular runs include: Big Easy for beginners; M1, Greengates and shirtfront for intermediate skiers; Exchange Drop and the Back Bowls for advanced skiers. Coronet Peak offers visitors self-service cafés, snow shop, ski and snowboard school, snowboard and clothing rental, storage, ski and snowboard repairs, guest services, first aid and medical facilities. Get Snow Reports, Powder Alerts & Powder Forecasts from Coronet Peak straight to your inbox!